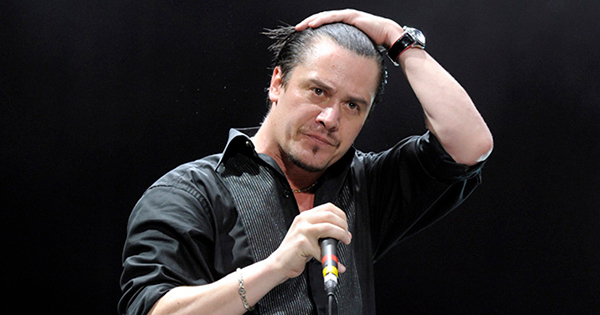 Dead Cross was forced to cancel its performance last night (Monday, August 21) in Los Angeles, California after vocalist Mike Patton (Faith No More, Mr. Bungle, etc.) was apparently involved in some sort of accident shortly before the show. "There's been an accident," Crain said. "Mike was in an accident. It's not grave, but he's unable to be here tonight. He's hurt. So I'm sorry. We apologize. We're gonna reschedule. And tickets will be refunded at points of purchase." "On behalf of the band, we're really sorry," added Lombardo. Further details have yet to surface. "Patton is getting stitched up and is raring to go! He thought he could skateboard to the show last night but he wiped out on the way. We appreciate all the kind words and well wishes for Mike!"